Fine Duplex Matte, Product 468522, $529.99 marked down from $669.99. Duplex Reticle Matte, Product 588146, $429.99 marked down from $529.99. Duplex Reticle Matte, Product 385745, $399.99 marked down from $479.99. You’ll find particularly good prices right now on nearly the whole line-up of Lapua brass. 6mmBR brass is $69.99 (discounted from $77.99) while and .308 Win brass is just $60.99/100, marked down from $67.99. 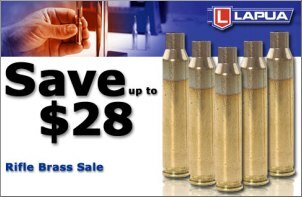 There are some cheaper sources for Lapua brass, such as Bruno Shooters Supply, but this is a good deal for MidwayUSA. Other “stocking-stuffer” reloading accessories are on sale. Frankford Arsenal Digital Calipers are marked down to $19.99. That’s a great deal on very functional calipers… not the best mind you, but perfectly acceptable as a back-up set. These are currently out of stock, but MidwayUSA expects more inventory 12/15 and the $19.99 price is good through the end of the year. Also through Dec. 31st, 22-caliber BoreSnakes are marked down from $14.99 to $12.99. While we much prefer (and recommend) cleaning with a one-piece rod and good bore guide, the BoreSnake is a useful “field expedient” cleaning device. It is particularly useful for AR15s and for rifles with enclosed receivers which cannot use a breech-entry cleaning rod. 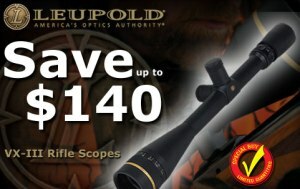 Share the post "Hot Holiday Deals at MidwayUSA"
That is not a deal Leupold scopes have scope lash problems. Period . Save your money and buy a NightForce. To many guys have 3, 4, 6, 7, rigs and never have one rifle and scope thats worth a flip. Quality not Quantity. In most cases you will get more enjoyment out of it. Purpose of equipment use is always the determining factor. Fun is where you fine it 500.00 to 900.00 dollars is a lot of money to pay for something that does not work as it should LRT Leupold with side focus = scope lash = wish I would have saved for a NightForce. Happy Hunting. I have to disagree as I have sold many Leupolds and have not run into that problem. IMO they are a great scope with an unbetable warrenty and are used by lots of bench rest shooters. My first choice! DO NOT Trust side focus Leupolds . Period.